Subject of these terms. These Terms of Service are in force between you and Cobalt Telephone Technologies Limited. They provide all terms and conditions applicable to our services, including your rights and responsibilities when using our services. Please read these Terms of Service carefully. You have accepted our Terms of Service at registration for an account. During registration a downloadable copy was made available to you. In addition, you can print a copy at https://www .myringgo.co.uk/onlineterms. If you use instant access (access without account registration) you have accepted our Terms of Service by using instant access. You will have been made aware that you can access and read these Terms of Service at the following URL https://www .myringgo.co .uk/onlineterms and our office address (Intec 2, Wade Road, Basingstoke, Hampshire RG24 8NE) and that you can request a copy of these terms is sent to you. Link to our privacy statement. When signing up or using our services, you will provide us with personal data. As your privacy is very important to us, we are committed to keeping you informed about any processing of personal data. Please carefully read our privacy statement (www .myringgo.co.uk/privacy). If you do not agree with any of the processing of your personal data as set out in our Privacy Statement, please do not use our services. Our Services.We offer systems that enable you to pay parking fees (our &apos;parking payment systems&apos;) and other services related to parking and car use (the &apos;related services&apos;). Our parking payment systems allow you to settle parking fees for specific on&hyphen;street or off&hyphen;street locations without the need to use cash. Instead, you register a parking action with our parking payment systems using the available methods and you will pay your parking fees through us. We will (periodically) charge you for your parking fees and any related service ordered by you. When offering you our parking payment systems we are facilitating the payment of parking fees on behalf of the operator of the specific on-street or off-street location. For more details on the specific services we provide, please review https://www.myringgo.co.uk. Availability. You acknowledge that the use and availability of our parking payment systems is highly dependent on the operation of &hyphen; for example &hyphen; your mobile device, the internet, your GPS receiver and other resources you can use to access our services. If you are unable to access and use our parking payment systems, for any reason, you, and not we, are required to use alternative payment methods to pay for parking or there may be a risk that you could be liable for additional parking fees and parking tickets. For the avoidance of doubt, we cannot ensure availability of our parking payment systems and related services. Neither can we ensure availability of a parking space. Partners. Our parking payment systems and related services may be used in combination with services offered by our partners. Our partners will have their own terms of service and you will be required to accept their terms of service before use. We are not responsible for the service offered by our partners. Access. You can access our parking payment systems and related services via one of the tools made available to you, including smartphone, personal web page, text messaging, interactive voice recognition (IVR) by telephone and mobile/in&hyphen;car applications. A description of our tools, including instructions how to use them, can be reviewed here https://www.myringgo.com/howitworks. Our tools are under continuous development and may be updated from time&hyphen;to&hyphen;time or discontinued. You must follow the tool instructions at all times and keep your tool up&hyphen;to&hyphen;date. Registration. Access to our tools is limited to registered accounts and such registration is subject to our approval. You are responsible for keeping your account information confidential and should not share your account information with anyone. A registered account is for your personal use only. You need to identify and authenticate yourself by entering your user name or mobile phone number in combination with a password or PIN, or by using touch ID, whatever is applicable, before you can start using our services and perform parking actions and related payments through your registered account. Instant access. Certain ways to access our parking payment systems do not require pre&hyphen;registration of an account, but allow instant access. Where you use instant access, we will create an instant account based on the telephone number or payment information used for the relevant access to our parking payment systems. Instant access is provided at our discretion and may be refused. 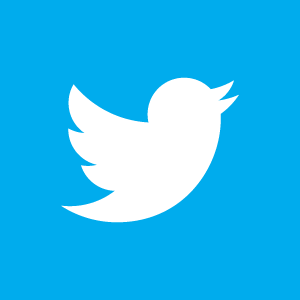 Please take note of the following: You are responsible for providing us with correct account, registration and access details, which should be kept up&hyphen;to&hyphen;date continuously by you. This also means that where your telephone number is reassigned to another person who starts using our service with this number, then your account will be blocked until you provide us with your new telephone number. We are entitled to provide our services to the person registering with your previous telephone number. Materials. We may provide you with a payment access card for parking enforcement purposes or for access to certain parking locations. This payment access card remains our property. If you lose it, we may charge you with a sum of £5. You are required to follow instructions for using the payment access card, as may be provided by us or the controller of a parking location (such as the relevant authorities). Please take note of the following: You (being the registrant of the account) are responsible and liable for all parking actions initiated with your account, also if you authorised, permitted or otherwise made your account available for someone else to use. Parking rule compliance. You must observe and comply with (local) traffic and parking regulations and follow instructions from municipal police, administrative authorities, and off&hyphen;street parking vendors at all times . Parking locations. You can use our parking payment systems to pay for parking at the parking spaces and areas indicated by us on the following website: www.myringgo.co .uk/parkinglocator. You cannot use our parking payment systems to pay for parking outside these locations. The parking locations may change from time&hyphen;to&hyphen;time. We are not responsible for loss or damage to your car or other properties while using the parking locations. Parking actions. You can pay for parking at one of the parking locations by successfully registering your parking action with our parking payment systems. You can use one of the methods available in our tools to complete such registration, such as start/stop, selection and prepay of a specific duration (buy time) or capture of vehicle movements by means of in/out methods. Successful registration requires confirmation of your parking action by our parking payment systems. Auto Pay on the basis of ANPR (automatic number plate recognition), RFID tag, Bluetooth, UHF tag or vehicle beacon or other vehicle identifier. You must register and enable Auto Pay for specific locations and vehicles, after which we can charge all parking fees incurred by that vehicle based on the entrance/exit of the vehicle identifier. You can cancel Auto Pay at any time by logging into your account www.myringgo.co .uk and select the delete Auto Pay account option. Once your account has been deleted you will be responsible for finding an alternative payment method when parking at Auto Pay enabled locations. Termination does not prejudice the amounts due as a result of any Auto Pay transactions that took place prior to termination. If an Auto Pay payment fails you will be notified and may be asked to pay using the apps or website using our Late Pay facility (for more information about Late Pay, please refer to our help article to avoid receiving a fine . You must use Late Pay in accordance with the instructions issued on behalf of a car park operator otherwise a penalty may be issued. Not all Auto Pay locations allow Late Pay and it remains your responsibility to make payment for any parking fees or penalties. If a parking fee remains unpaid, you may not be able to exit a location. Late Pay In order to access our Late Pay product you must register for our service. Where you have failed to make a payment for a parking session and your vehicle details have been captured through an ANPR payment you can use our Late Pay facility (for more information about Late Pay, please refer to our help article to avoid receiving a fine. You must use Late Pay in accordance with the instructions issued on behalf of a car park operator otherwise a penalty may be issued. Not all Auto Pay locations allow Late Pay and it remains your responsibility to make payment for any parking fees or penalties. The car park operator is responsible for the equipment relied upon for the successful capture of your vehicle in and out of the car park. They are also responsible for collecting all monies transacted from Late Pay payments. Therefore the operator is responsible for all disputes including billing, accounting errors or incorrect issue of a parking fine. Parking action details. You are responsible for providing all of the necessary and correct details for your parking action, such as vehicle number plate and the correct location code. Your parking action will be automatically processed on our parking payment systems on the basis of these details. The details you provide about your parking action are key for us to correctly process your parking fees. You alone are responsible for providing us with the correct details for your parking action and you will be responsible for paying any penalty charge or parking fee issued as a result of incorrect parking action details. Please take note of the following: We are not responsible for verifying whether your parking action details are correct. We emphasize that you must read the instructions before you start using our parking payment systems, as incorrect use might lead to penalty charges, incorrect payments or other consequences. Reminders & Confirmations. You may choose to receive confirmation messages that your parking action is still active or to confirm that your parking session has commenced. In addition you can elect to receive a reminder advising you when your parking session is due to end. We emphasize that your parking action still remains your responsibility. You acknowledge that receipt of the reminder depends on the availability of your network and can be interrupted/delayed. Any additional costs relating to these reminders will be charged simultaneously with all other charges. 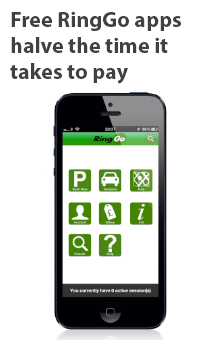 Costs for these services are detailed https://www.myringgo.co.uk/parkinglocator. Reminders & Confirmations. The parking fees are set by the respective controller of the parking location. We have no control over the amount of these parking fees, which may change from time&hyphen;to&hyphen;time. You should not use our parking payment systems if you are eligible for certain parking fee arrangements or discounts offered by the parking location controller as these will not always be available in our parking payment systems. Our fees. In addition to the relevant parking fees we will charge you our fees depending on your selection and use of our parking payment systems and the related services. Our fees may consist of a registration fee, a parking payment fee and/or a monthly subscription fee, a fee for related services and other fees applicable to our services, which we may change from time&hyphen;to&hyphen;time. For more details on the specific services and the applicable fees, please consult https://www .myringgo.co.uk/parkinglocator. You are responsible for all costs charged by third parties for accessing or using our services (such as telephone, sms or data charges applied by your mobile operator). Payment method. You must select the payment method of your preference from the options we make available to you in our parking payment systems. When using our services, you accept that your payments may be processed by a third party payment processor. You acknowledge that certain use of our parking payment systems requires a specific payment method, such as a payment card or payment through your telephone provider. Payment. Depending on your selection and use of our parking payment systems and the related services, we will directly or periodically charge the parking fees and our fees, while using the payment method you have chosen. We are responsible for the correct execution of the payments and you are responsible for having adequate funds available to cover our fees. For registered accounts, your recent parking history, invoices, receipts and other transaction details can be found in your account on our services. Once you have paid your parking fees for a parking action, or series of parking actions, through the parking payment systems you have no further obligation to make any payment to the parking operator for that parking action, or series of parking actions. Payment through the parking payment system constitutes settlement of fees owed to the parking operator for the parking action which you have purchased. For the avoidance of doubt, you will remain responsible for any penalty charge or parking fee issued to you as a result of any overstay or failure to provide accurate parking action details. Late payment. If you do not pay the amounts due or instigate unwarranted chargeback requests, we are entitled to immediately suspend the provision of our services to you (without prejudice to our further statutory rights). You will be charged the statutory interest rate as from the date you are in default on your payment obligation, except in the case of a genuine chargebacks. Refunds. We are under no obligation to provide a refund or cancel parking actions submitted to our parking systems, unless there is a system error on our part. To submit a refund request please go to www.myringgo.co.uk/newenquiry?type=4. Please take note of the following: Upon registration we will immediately perform our services by providing you access to our parking payment systems and related services as expressly requested by you. Therefore you acknowledge that we immediately begin such performance and acknowledge that you will not have a right to withdraw from your agreement with us. Term.Our agreement to provide the services based on these Terms of Service comes into effect upon successful registration of your account. In the event of instant access the agreement is effective as per your use our parking payment systems. If you are a business and you order services based on a monthly subscription fee or other monthly recurring costs, then such services can be terminated for convenience at any time by providing at least five business days&apos; written notice before the first day of the upcoming month. You can send your termination notice to the following e&hyphen;mail address corporate@ringgo.co.uk. We may stop carrying our service as a whole or in parts by providing one month&apos;s prior written notice. Adverse reports from credit agencies. Take any action that imposes an unreasonable or disproportionately large load on our infrastructure; or knowingly introducing viruses, trojans, worms, logic bombs or other material which is malicious or technologically harmful. You commit a criminal offence under the Computer Misuse Act 1990. We will report any such breach to the relevant law enforcement authorities and we will co&hyphen;operate with those authorities by disclosing your identity to them. In the event of such a breach, your right to use our service and will cease immediately. Force majeure. In cases of force majeure &hyphen; for instance disruptions in the telecommunication infrastructure (Internet), national unrest, mobilization, war, traffic closures, strikes, lockout, denial&hyphen;of&hyphen;service attacks, distributed&hyphen;denial&hyphen;of&hyphen;service attacks, disruption of operations, stagnation of supply, fire, flood or any other circumstances beyond our reasonable control, in which we are prevented from providing our services so that we cannot reasonably be required to fulfil the contract &hyphen; our duty to perform ceases to apply. Limitation of our liability. We are not liable for any loss of income, business or profits, or for any loss or damage that was not reasonably foreseeable at the time you entered this agreement or is an indirect or consequential loss or damage. Our liability for damage arising during the performance of our agreement is limited to the value of the service that we provide to you. Nothing in these Terms of Service shall exclude our liability for gross negligence and wilful intent or death and personal injury caused by our negligence or any other type of liability which cannot be excluded or limited as a matter of applicable law. Warranty. You are entitled to the statutory warranty rights regarding our services. Changes to these Terms of Service. We may change these Terms of Service. If we decide to do so, we will inform you of such change on our website. You may terminate our agreement in case you do not agree with these changes. Each of the paragraphs of these terms operates separately. If any court or relevant authority decides that any of them are unlawful, the remaining paragraphs will remain in full force and effect. Applicable law and venue. The agreement and these terms and conditions are governed by the laws of England & Wales. This choice of law will not deprive a consumer of the protection afforded by provisions, from which, according to the law of the state in which the participant has its habitual residence, cannot be derogated from by agreement. You have the option to resolve any claim, action or dispute by means of a procedure before the competent courts in the aforementioned jurisdiction.